We are lucky to be part of a large pediatric oncology network in Washington. Other organizations offer valuable opportunities—so we thought we'd share. Pablove Shutterbugs teaches children living with cancer to develop their creative voice through the art of photography. Shutterbugs Beginners Course is a 5-week, out-of-hospital program aimed at teaching key photography concepts. The course takes place on five consecutive Saturdays and culminates in an annual student exhibition. The Austen Everett Foundation partners with professional and collegiate sports teams to provide honorary captain experiences for children who have had cancer. Honorary captains get to participate in coin tosses, and sit court-side during pre-game practice, as well as receive personalized team gear. This classic summer experience designed for families who have a child with cancer give parents and caregivers a chance to rest, while kids have a chance to play for hours, and everyone is treated to the celebration of being together! During the week, you can enjoy the climbing wall, the ropes course, a giant slip-and-slide, the swimming pool and the zip-line. 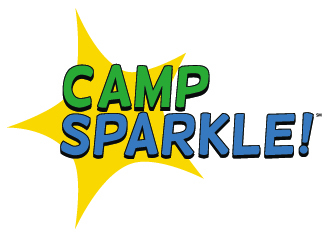 Camp Sparkle is a free summer day camp for children who have been impacted by cancer; children may have a loved one with cancer, have lost a loved one to cancer, or have cancer themselves. Camp Sparkle hosts five separate weeks of camp in Seattle, Tacoma, Everett, and Bellevue. Campers experience a week of local field trips, fun activities, and making friends with campers and counselors just like them! Camp Agape Northwest is a summer family camp for those who have a child with cancer. Parents/legal guardians, and all siblings from infancy to 18 years are welcome to attend. Camp Agape’s mission is to nurture the whole family, because when a child is ill the whole family is affected. Camp Agape serves families whose child has received treatment in Washington State, whether the family lives in Washington or not. Please note: this is a list of third-party programs which are not endorsed by, accredited by, or affiliated with The Goodtimes Project.